Borussia Dortmund midfielder Axel Witsel has been made to eat his words following the club's 3-0 defeat to Tottenham Hotspur on Wednesday, having claimed before kick-off that there is no "serious difference in the quality" of the Bundesliga and Premier League. The Belgium international has been one of Dortmund's best players this season having arrived in a €20m deal from Chinese side Tianjin Tianhai, forming a formidable partnership with fellow newcomer Thomas Delaney. "I do not think the Premier League is better than the Bundesliga on the whole," Witsel told German publication Sport Buzzer. "It's all about the media hype. Axel Witsel really went to Russia and China to make a ton of money, while everyone said he was wasting his talent, and then casually strolled back to Europe to be an important piece in a fun Dortmund team. Iconic. "Many more people in the world see the Premier League on TV, because it is almost everywhere receivable. For historical reasons, the international media are more geared to England than to Germany, Italy or France. But I do not see any serious difference in the quality of football." 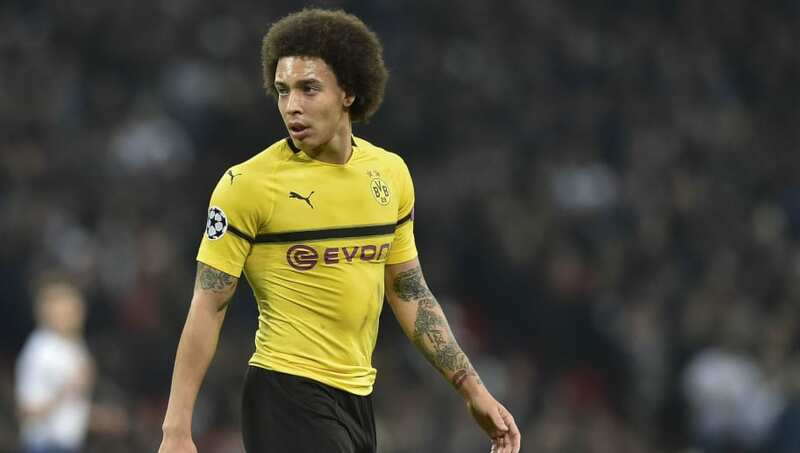 Witsel's career path has never seen him try his luck in the Premier League, and in fact, his summer move to Borussia Dortmund in the midfielder's first ever spell in one of Europe's top five leagues.